Dolores Huerta: A Hero to Migrant Workers. Illustrator: Robert Casilla; Marshall Cavendish Children, Spring 2012. 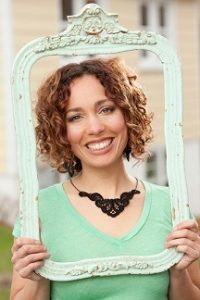 Author Sarah Warren is an early childhood educator and has served the young children in her community for more than ten years. Sarah received a Legacy Award from the YWCA of Minneapolis Children’s Center for her work supporting their mission: Eliminating racism/Empowering women. In 2007 she was honored as a “Cultural Caregiver” by the Minnesota Women’s Consortium. Sarah holds a Master of Arts in Interdisciplinary Studies from Lesley University. She lives in Minneapolis, Minnesota. Introductions: Name a song, story or movie that you can’t stand; Name a song, story or movie that changed the way you think; Name one leader you admire. We will explore how well we pay attention and what we pay attention to. How do our unique perspectives inform our artistic expressions? We will explore the usefulness of cultivating a sense of purpose as an artist. We will examine how our unique worldviews and perspectives can help us raise people’s awareness about things that they might not know, or might not want to know about. Presentation includes activities, crafts, writing exercise, and more. Introduction: Introduce the students to a puppet wearing a Spiderman (or other media-based superhero) shirt and discuss: Why do you think our friend likes Spiderman? Do you like Spiderman? Why? Today we will talk about superheroes. Are they fast or slow? Are their bodies strong or weak? Do you think they have powerful bodies? Do we? Music and Movement: We test our strength and abilities by following the movements in a song and freezing at the appropriate moments. Instruction: What kinds of powers do superheroes have? We make a list of what we know. Activity: What is an organizer? Explain that the students will meet a new friend who has lots of powers too, but she can’t shoot webs out of her hands or fly. One of her powers is organizing. That’s a big word. It means working together as a team to get what we want. Direct the group to make a standing circle and hold hands. Explain that we want to work together to pass a hula-hoop around the circle, and over our bodies without letting go of the hands we are holding. Activity: Create “I am a hero” puppets. Use markers to color people-shaped puppets on strings. Try to make the puppets look like we look. Ask the group if Dolores is a strong leader. Who can be a strong leader like Dolores? Play Follow the Leader. Assignment: Send home a note summarizing classroom play and learning, and encourage home caregivers to talk about who their heroes are and why. Include a clip from Exchange, an early childhood education journal (www.childcareexchange.com/eed/issue/3360). The clip describes the decision one preschool made to ban superhero play. Ask caregivers to write a note, email, send a text, or call and let classroom staff know what they think about superhero play in the classroom. Follow up with information about superhero and media-based play. Introduction Who am I/Who is my hero? Participants will share their names and the name of one of their heroes. Transforming play/Strategies to Implement Hero Lessons and Activities: Participants will use the items in hero learning goody bags to create their own activities and lessons and share their ideas with the larger group. Teachers as everyday heroes: Power Point Lecture Participants will explore the impact their work has on building resilience in children. Caregivers will reflect on the heroic nature of their profession and their own potential to be leaders and heroes. $75 per one hour session and reimbursement for lodging if necessary.